It was a typical day for celebrating Valentine’s. Flowers… check! Sweet treats… check! Art full of hearts… check! No fine-dining meals, but at least, a satisfying lunch… check! And of course, the joyful faces of the people who got together for this event… check! 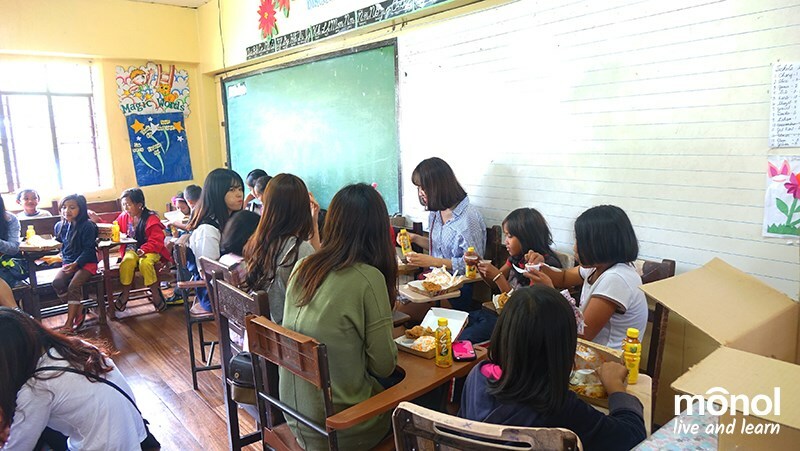 On February 13, 2016, 18 students from Sun Moon University in South Korea had a simple get together with 35 beneficiaries of the Pantawid Pamilyang Pilipino Program (4Ps) along with their children. 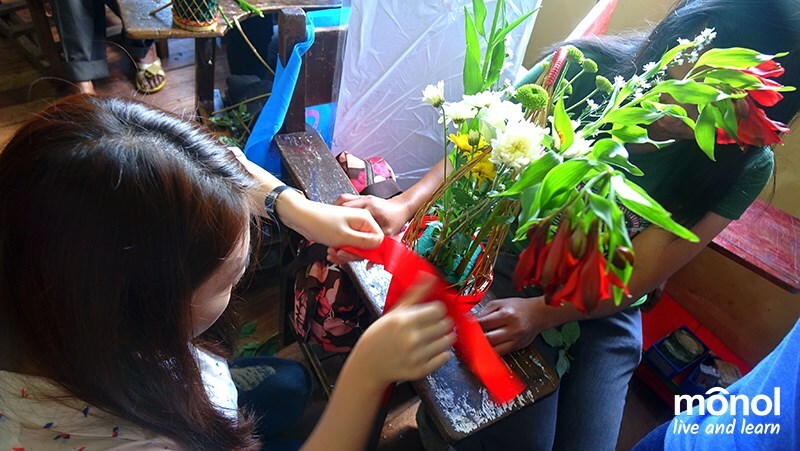 During this event, the parents had the chance to create their own flower arrangements, which is indeed befitting as February 14, the day of hearts, love and romance was just a day away. On the other hand, the children had fun with yarn and Winnie the Pooh for an art activity. Final touch. 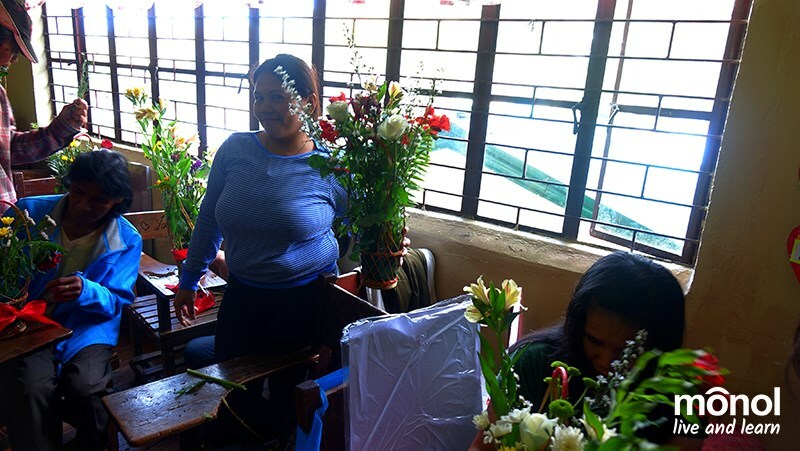 One parent and a student try to make the most attractive ribbon together as an addition to the flower arrangement. “I feel like I’m Miss Universe!” One parent poses for the camera as she proudly shows her completed flower arrangement. Joining forces. Giving depth to Piglet sure needs a lot of work, it needs two people to make sure the yarn stays in place. Pink wigs. Students and children goof around after finally completing their yarn art. After their craft activities, the parents, children and students ate lunch together to complete a fruitful and colorful Valentine’s Day. Eating together like one family. 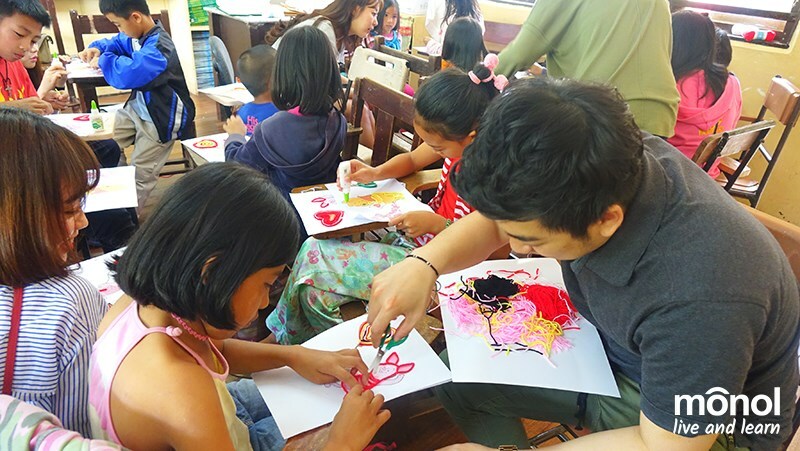 Every year, students from Sun Moon University spend their winter and summer vacation in the Philippines to study ESL in Monol. 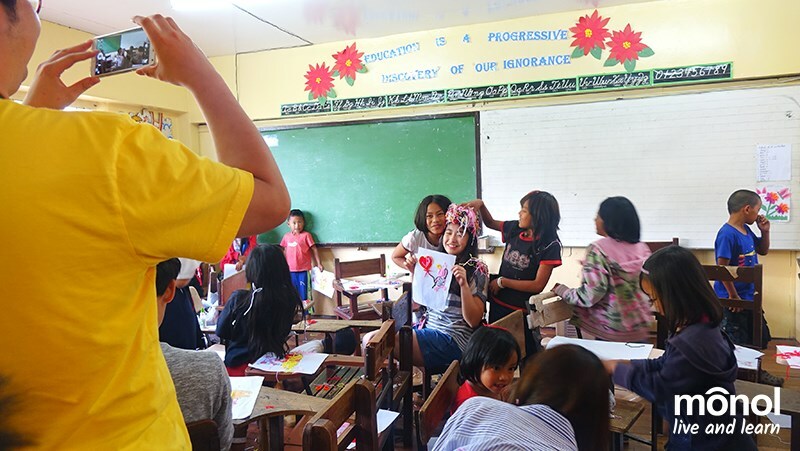 Apart from their ESL program, students from this university also engage in various community-driven activities in the country and for their winter camp in Monol, they were able to interact with and bring joy to both parents and children of 4Ps. 4Ps is a poverty alleviation program of the Department of Social Welfare and Development, which awards cash grants to families that are in straitened circumstances.